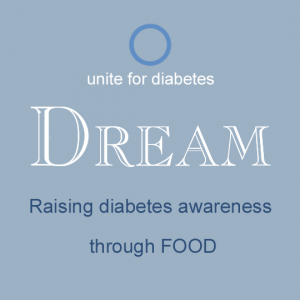 Today is World Diabetes Day, devoted to bringing awareness to diabetes and its impact on individuals and society. All well and good, but why am I writing about this on a food blog? Well, what we eat can be key to preventing and controlling this disease that affects an estimated 346 million people worldwide. Carolyn Ketchum of the blog All Day I Dream About Food organized this food blog response to the day and you can view her round up (and information on two giveaways, including a blue Kitchen Aid mixer), here. You can also view the participating blogs and their posts by logging into Twitter and checking the hashtag #worlddiabetes. She gave food bloggers the challenge of coming up with low carb, low sugar healthy foods to feature to bring awareness to disease which diet plays such an important role in prevention and or control. For more about WDD, please check out this World Health Organization site on the day. The WHO expects the number of diabetics worldwide to double by 2030. Type 2 diabetes, once called adult onset, is rising in youths perhaps because of sedentary ways and overly processed, simple carb and sugary carb-laden diets. This is a true tragedy because with proper diet and exercise, this disease can be avoided or its impact lessened. A proper diet can also help some Type 2 diabetes sufferers avoid using insulin or other drugs to manage their disease. The disease is caused by the body's inability to effectively use the insulin it produces. Type 1 diabetes, once called juvenile brittle, childhood-onset or insulin-dependent, is usually first seen at a young age and is "characterized by a lack of insulin production" by the pancreas, according the the WHO site. The third type is gestational diabetes which occurs during pregnancy. While I'm writing this blog post in an more or less informational, reportorial way, please know that while I do not have diabetes myself, my life has been touched in significant ways by family and friends whose lives have been changed forever by this disease. As my contribution to the World Diabetes Day food blog round up, I've adapted a recipe for tasty fish fillets baked in individual foil packets. The dish is very flexible, uses no added fat, is easy to clean, leaves no fishy cooking orders and very delicious. Plus, when the packets are opened by the diners it creates quite an impact. I've made many variations of this over the years, including other seasonings and ingredients (adding chopped orange segments works really well), but this is the basic approach. Serve with sauteed greens (I like chard or spinach best with this dish), mashed or pureed steamed or roasted cauliflower or even quiona or a whole grain (such as brown rice). Continue reading for my basic foil-baked steamed fish recipe. Preheat oven to 450 degrees. (Please see this foiled again post for specific directions on how to make foil packets, tips, cooking instructions and a Vietnamese-flavor version of this recipe.) Take 4 long strips of aluminum foil. Double up. Divide fish into portions. In the center of each double thickness of foil, place fish and sprinkle with salt and pepper. Scatter one fourth of leek, garlic and lemon peel on top of fish. Then scatter red pepper, fennel and tomato. Sprinkle a fourth of minced fresh fennel greens and parsley. Add a bit more salt and pepper if desired. Fold packet to seal in juices. Repeat with remaining ingredients. Bake in oven for about 15 minutes or until fish is cooked through. Let diners open their own packets. Serve with lemon wedges if desired. I've never tried fennel with fish, but I'll bet it's amazing. Thanks for participating in this awareness-raising event. My sister has Type I and I myself have to be pretty careful, especially when I'm pregnant, so I've been eating low-carb for nearly five years. New recipes are always a good thing! DF and CH -- thanks for taking the time to comment. I hope you'll try the recipe - it's easy and fast and NO fish smell in the kitchen afterwards.